Organovo CEO Keith Murphy came to the Q2 (FY 2017) analyst and investor call knowing that he would be on the receiving end of some potentially hostile questions. 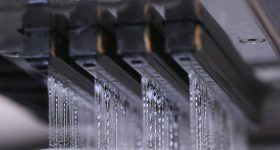 During October shares in the 3D bio-printing company lost almost one third of their value after the company embarked on a new round of equity financing. 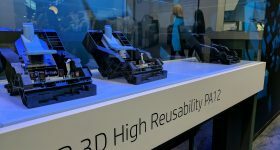 As reported by 3DPI, plans to raise $25 million in October via a new offering of shares saw the company’s share price take a 15% hit as investors saw existing holdings diluted with the offer pricing the company at $2.75 per share. Furthermore, SEC filings show Organovo Chief Strategy Officer David Eric had earlier sold shares at $4.55 during August. Shares in the company were last traded at $2.54. Such short term price volatility did not seem to deter investors and the $25 million fundraising round was completed within 3 days. Furthermore, during the investor call analysts seemed happy with the rationale for the fund raising and did not press CEO Keith Murphy further, at least in public. 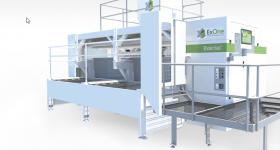 Our investments don’t end with our ExVive Human Liver and Kidney Tissue Services, although we’ll certainly focus on accelerating adoption of our existing commercial products. The CEO believes they can access a double market for liver and tissue services, by a introducing a metabolism offering for liver and kidney. Bringing this service to market needs investment in equipment, including a mass spectrometer, and also adding to the current headcount of 115 employees. The capital intensive nature of biotech is clearly illustrated by Organovo’s operating expenses and costs. The combined costs and expenses for Q2’17 were $10.8 million (Q2’17 $11.6m). During the period expenditure on R&D was 4% lower due to ceasing to use outsourced resources. Furthermore, Selling, General and Administrative (SGA) expenses decreased 14% due to lower non-recurring separation expenses for 2 former executives. Despite marginally reductions costs still remain high, and in excess of revenue. Murphy explained that such expenses are necessary in order for the company to access the “$3 billion is total addressable market” for Organovo products. The CEO also gave some information that looking at the top 25 big pharma companies, Organovo now consider 10 as customers, an increase of 3 during the period. However Murphy would not be drawn on the topic of how many of these are repeat customers, and the specific value of individual contracts. However, the pace of sales is set to pick up according to Murphy. This is due to the favorably reception of several research studies by the company, and also the relationships they have built with customers. “Our recent publications in two respected journals, PLOS ONE, and Toxicological Sciences, are undoubtedly chief drivers of customer adoption,” said Murphy. 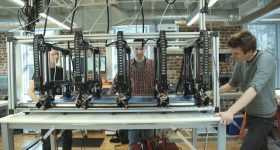 Bold claims from U.S. 3D printing pioneer are beginning to yield increased returns. 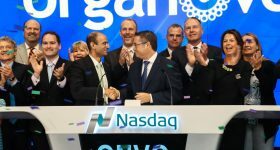 Organovo now have $75 million of cash on hand to invest in their business plan and will deploy capital to scale the toxicology business and expand range of products, they will also invest to expand into new markets. Cash requirements are forecast at $30 million going forward, a number that the company believe will come down. One such new product, launched in September, is their Kidney Tissue service. The kidney proximal tubule model is a natural expansion of our preclinical product and service portfolio, allowing customers to study the effects of drug exposure on a key portion of the human kidney relevant to drug discovery and development. With just several weeks under our belt since launch, we’ve already signed multiple commercial orders with several companies. Early adopters, such as Ardea Biosciences, a subsidiary of AstraZeneca and the La Jolla Pharmaceutical, have provided strong feedback on the product and how they’re integrating it into their drug programs. 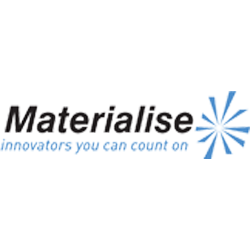 However the company have a market eager for their product, the CEO explained that this is because lack of alternatives. Using Organovo products several large pharma companies have began to re-investigate drug products where progress had stalled. Organovo also gave an update on Samsara Sciences Inc., the subsidiary they launched in January 2016. 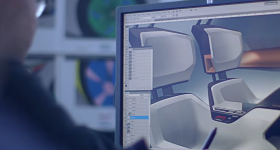 Samsara supply Organovo with bio-matter, including liver cells, for 3D printing. Murphy explained they would not give detailed numbers on financial information, but the subsidiary “yields a lot more value than just revenue” as it delivers cells to other areas of business. 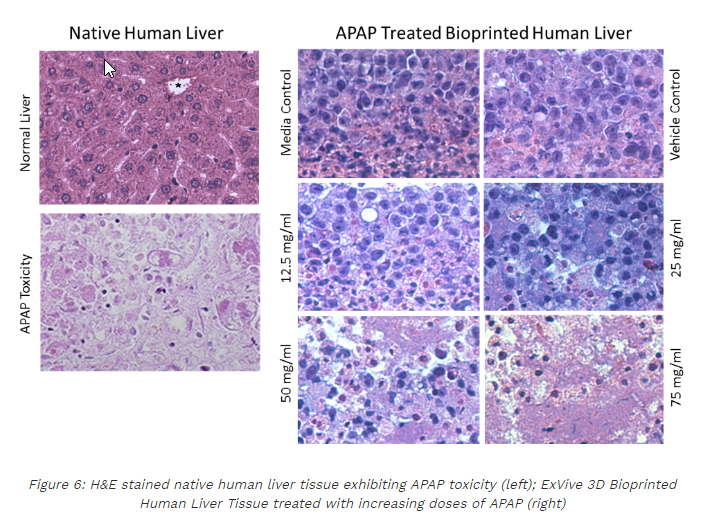 Liver cells are both costly and can be difficult to source. 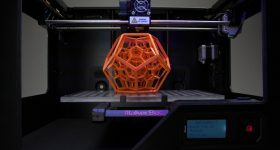 Organovo are one of the most recognizable faces of 3D bio-printing, and as a publicly traded company are subject to a higher degree of scrutiny than others operating in this sector. These most recent results demonstrate a promising trend in revenue, but profitability is still someway off. Biotech investments are viewed by investors as highly speculative, and investors stung by October’s dilution may be less willing to give the company a second chance. However, for the brave the company may offer a wild ride. The full financial results are available here. Featured image shows Organovo’s NovoGen Bioprinter™ fabricating tissue into a 24-well plate. Photo via Organovo.